The time has come to headbang! 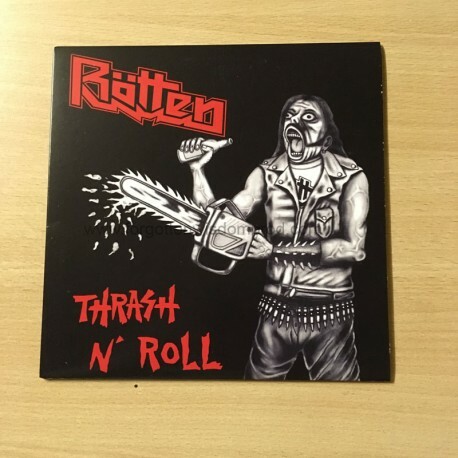 The title "Thrash N' Roll" speaks for itself... standing out in the crowd of today's lame thrash wave, Mexico's ROTTEN (with BLACK TORMENT member) offer 13 minutes/5 tracks of pure raw thrash with strong punk influences. This is a must have for fans of Toxic Holocaust and alike. Break your neck & get it or die! !